When they began investigating retirement villages they soon decided it would be a Ryman village for them. They chose Diana Isaac in Christchurch because of the personable staff approach and the peace of mind from terms such as the fixed fees. “I like what I’m hearing, tell me more,” Hoko prompted. 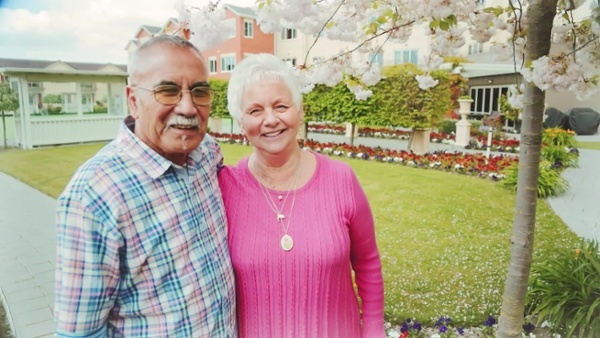 With no close family living in Christchurch, what stood out for the couple was the full continuum of care available in the village. 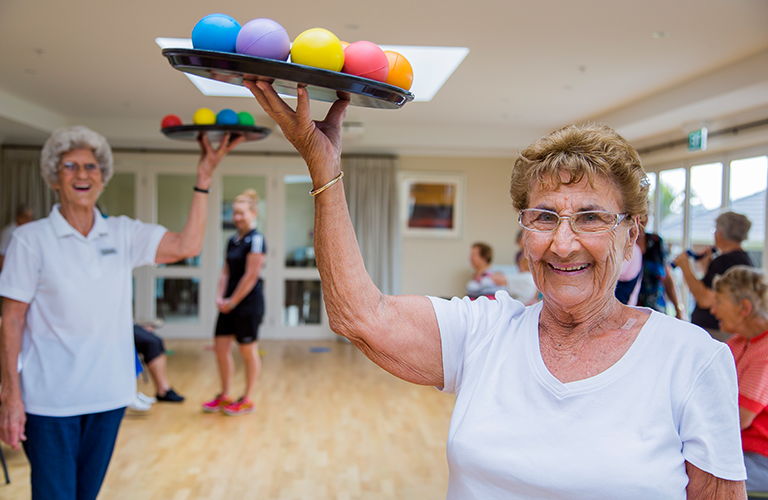 Having this security means that if anything happens they have the assurance of knowing that resthome, hospital and dementia care are available to them right there. "When I saw the flowers the old ticker started pumping and I thought, I’m home." Hoko and Glenda experienced this security first-hand when Hoko became ill and Glenda had to use the call alarm in the middle of the night. Village nurses immediately responded, arriving at their door within minutes. “I can’t speak highly enough of the staff in the village when Hoko got sick,” recalls Glenda. Even small gestures such as pulling the drapes in their townhouse and finding cookies and a card on their kitchen bench, made a huge difference. Glenda is thrilled with the kitchen in her townhouse, describing it as the best kitchen she’s ever worked in. “And I’m not allowed in it,” Hoko chimes in. "This is not just a village. It’s our home, and it’s felt like home since day one. " As for the activities and events in the village, Hoko and Glenda enjoy swimming and regularly attend Triple A exercise classes. Glenda also loves reading, so having a library practically on her doorstep is wonderful. “We liked that everything is provided,” says Glenda. “You can be as sociable as you want to be.” They also love the fine dining events where the menu is the chef’s choice. Glenda tells us the delights on offer are exquisite, and it allows you to sample options you may not have thought of trying. “This is not just a village. It’s our home, and it’s felt like home since day one. I’ve never been so happy as I am here. This is what we have worked for all our life – it’s time to sit back and enjoy it,” Glenda tells us.